There are many benefits to this integrated approach. You can progress through each section at a rate that is comfortable for you, concentrating on those areas that are most challenging. You have more options as to when you can begin and complete a course. Students can remove a problem subject from their day time schedule and have more time for their other classes, extra-curricular activities and hobbies. The process used to complete these courses will provide you with a new skill set where you can approach learning with a more strategic plan, self-reliance, organization and confidence. Students will have access to our drop in centre after school and on weekends for assistance. You will also have access to an internet service for additional tutorials and reference materials. Feel free to use this for your other courses as well. Each credit has different assessments and course requirements some of which can be found on the course descriptions and registration form attached. Graphics can greatly enhance the educational value of a course. Moving graphics, splash pages and the like can be used to convey information. The course can be paced to students' ability. When a student gets many right answers, more complex material can be provided. When a student makes frequent mistakes, simpler material and more reinforcement can be provided. Regular Online courses that resemble automated textbooks and do not use the potential of the Internet are generally considered to be poorly designed. Online distance learning courses are sometimes combined with other delivery methods. For example, an online course may include a videotape or CD-ROM; or students and teacher may participate in a telephone conference call. 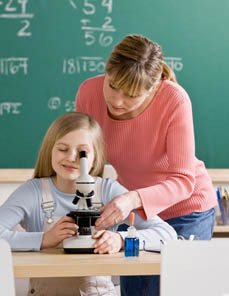 When a lab kit is included with science or technical courses, students are expected to work through experiments and other hands-on activities. When online courses comprise part of a high school program and students work on their courses at school, a site facilitator usually works with students. The site facilitator supervises and encourages students, helps them organize their time, teaches them online learning skills, and directs students to resources. The site facilitator's role complements that of the distance education teacher.